While away this past week with my girlfriends from high school, we took a day trip to Charleston, SC. What a place. Be still my heart. It reminded me of Boston actually with it's wonderful historical homes near the sea, but with lovely southern charm, and minus all the crazy drivers. After lunch at the Fast and French Gaulart and Maliclet Cafe (oh-la-la) we took a stroll around in the heat of day and came upon a walkway that beckoned us in. It was a cobblestone trail through a very old cemetery, alongside an old church. I felt like I was in fairy land. What caught my attention the most was a plaque with the above quote by one of my favorite poets, Mary Oliver. I thought I would share it with you now. I don't know about you, but when I read something like this, especially now at mid-life, it makes me stop in my tracks. Love it Louise. Thanks for sharing. I loved how you described that you felt like you were in "fairyland", Louise! As I viewed the pics of you, Cindy and Heather on fb of your trip to SC, I was filled with such a warm feeling in my heart for all of you and your adventure together! You all share a beautiful bond that is so wonderful! 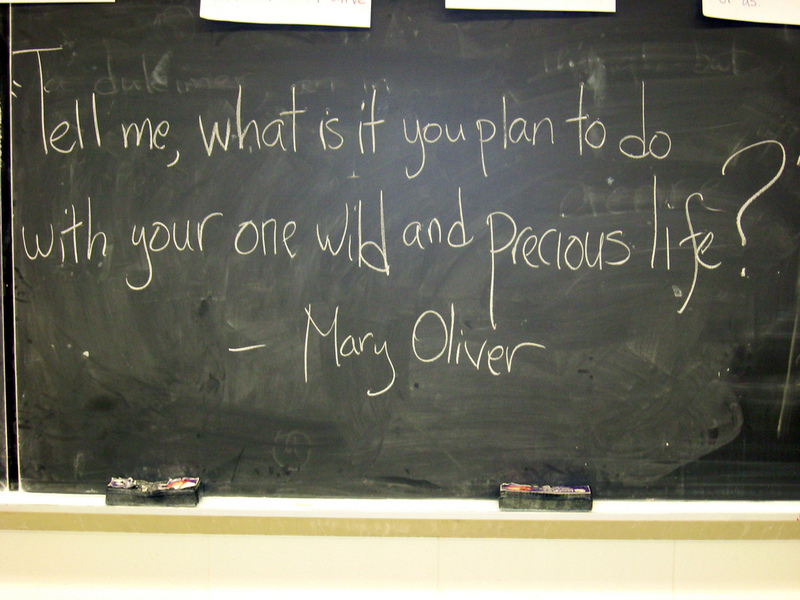 I love the quote by Mary Oliver, it really makes one reflect on where they are, where they have been and where they are going. Blessings of Love to you Louise! That's such a great story about 93 year old Ludima Peggy. Here is the direct link so that everyone can read about her. What an inspiration! Thank you. Thank you Maria for your comment. I miss you!